A double-wide trailer is a manufactured home that's twice as wide as the standard single-wide manufactured home. It looks like two single-wide trailers sitting side by side. These homes are built on a chassis according to standards set forth by the U.S. Department of Housing and Urban Development. A double-wide trailer is constructed in a factory and transported in two main pieces to the building site, where a crew assembles it. Once assembled, a double-wide trailer looks similar to a modular ranch home; however, a modular home is built on a foundation, while most double-wide trailers sit on jacks. Skirting is installed around the bottom edge of the double-wide to enclose the open area beneath it. A standard trailer, more accurately referred to as a mobile home, is a structure designed to be a permanent residence. It is no more than 18 feet wide and is built on a wheeled chassis for ease of transportation. 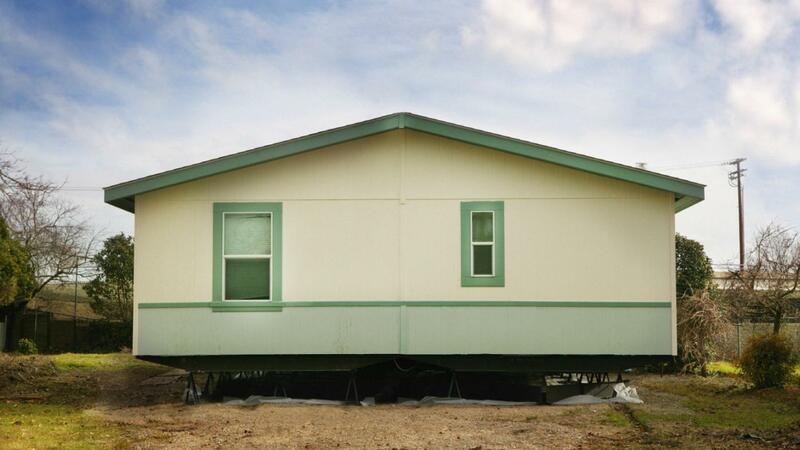 A double-wide mobile home can be 36 feet wide once the parts are joined after transportation. Like standard mobile homes, double-wide mobile homes are almost completely constructed, inside and out, prior to transportation. Modular homes are usually unfinished on the inside and require additional construction on site. How Do You Find Plans for Square Log Homes?